4G data service has been promising rainbows and unicorns since it bounded into the public consciousness. Promising faster, better, stronger service. 4G promised you’ll be able to surf the web, talk to friends, remove worrying moles, and beat everyone at tennis all at the same time. But what they didn’t discuss was the fact that it drained cell batteries the way a seven year old does their first big gulp. 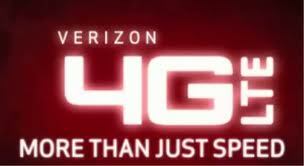 So many fear the arrival of universal 4G, that 4G is writing checks it’s data services can’t cash. But research is showing that 4G may not be so bad after all.